A week ago, when the weather was still beautiful, I went for a walk at a local park. It was so serene there, as if it was an escape from reality. I thought this dress was perfect because it was really fit in with the nature. 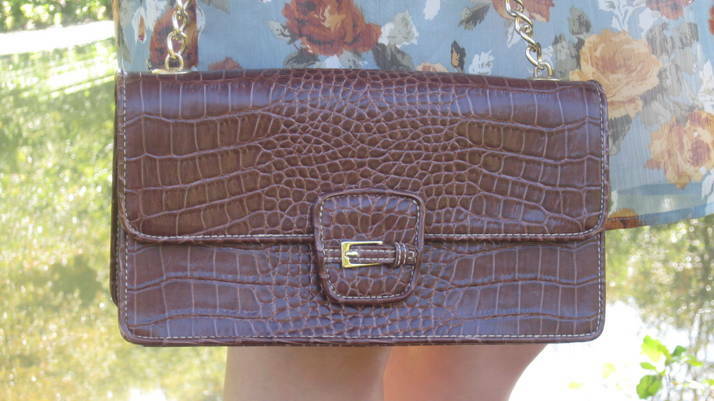 I decided to pair it with my trusty chunky heels and this old-lady style purse. Hope you enjoy! Hi dear! I couldnt answer on ift, so here i am:) Hoper you follow me back bu bloglovin! Wonderful look! Love this bag! !You can match it with almost everything, from casual to formal!! This dress is stunning!! I love it! I am your newest follower! Thanks for finding me on IFB. thank you! I will definitely go follow back now!